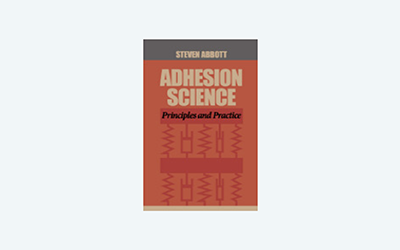 This is a reminder to us that if Adhesion is a Property of the System, then a great way to understand the system is via FEA, especially for those working on structural adhesives. There is no point in testing for "adhesion" if your design is so poor that all the stresses are being focussed on your adhesive joint, when with a bit of thought, they could have been directed elsewhere. 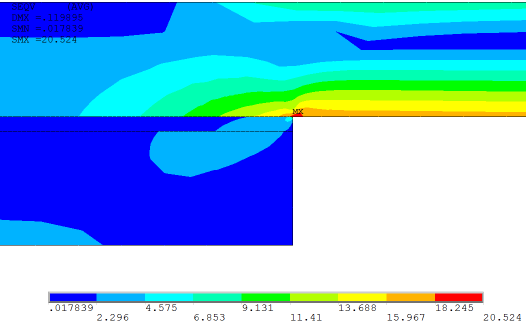 I would love to provide an FEA app, but so far I've not managed to work out how to do it. 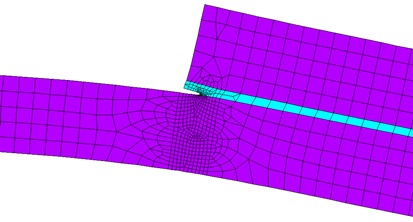 Finite Element Analysis should definitely be integrated into many aspects of adhesion testing, especially for those focussed on structural adhesives. The method is well-proven to be able to cope with many of the classic adhesion testing issues. The problem is that most of us (a) can't afford to have a suitable FEA package and (b) even if we did, the jump between defining a problem and entering it as a debugged FEA protocol is too large for most of us. But there is hope! The first part of the problem is addressed by the existence of Open Source FEA packages. 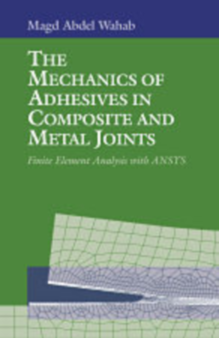 The second is addressed by The Mechanics of Adhesives in Composites and Metal Joints by Prof Magd Abdel Wahab which takes a good set of classic adhesion challenges (such as the Lap Joint) and creates specific setups for one of the major FEA packages, ANSYS. All the inputs and outputs are carefully explained - and placed in the context of the overall theory which is clearly and concisely covered in the opening chapters. And of course all the ANSYS files are downloadable from the book's website. The images below are from the book but are the original colour images from ANSYS kindly provided by Prof Wahab. Typical plots reveal many insights into something like the lap joints discussed in the Goland-Reisner app. Although at the start the lap joint looks at though it is a pure shear system, the truth is very different. The distortions in what starts as a pure shear pull lead to a large element of peel. Similarly, the stresses (red is high stress) are very much not distributed evenly but are focussed very strongly at the edge of the join. So failure starts at those small areas and, of course, spreads along because after failure the stresses are concentrated in the next part of the joint. And here is a crack actually happening, where all those stresses are having a devastating effect. Those able to translate the ANSYS settings into the format of an Open Source package (some have conversion utilities to make this easier) will be able to explore the crucial details of how forces act on a structural joint and be able to better tune their adhesive systems for greater robustness and reliability. This is very far from the app-based approach of these pages but with modern computer power and Open Source, the excuses for formulators not to get involved with FEA are fast diminishing.